In the late sixties the popularity of our little Chihuahuas was increasing in all circles and a band of dedicated Chi lovers joined together to form the Club as it is known today. Some of the early members were Mr George and Mrs Nell Scott, Lynne and John Hook, Mrs Phyl Cary, Robert Cleary, Norm Scott (no relation to George), Mrs Nancy Gate and Mrs Steffie Smith. 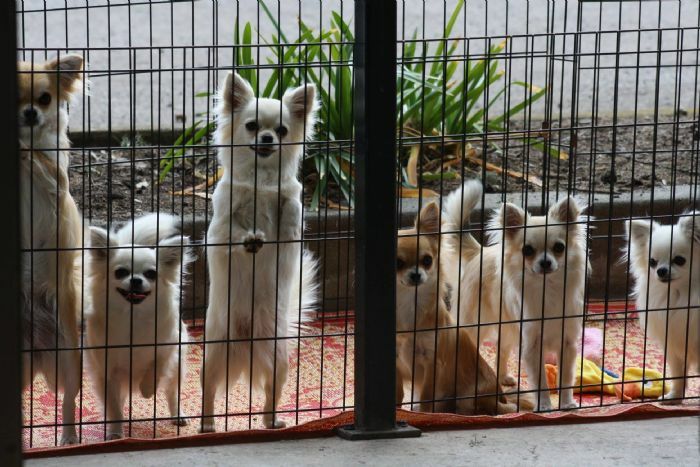 The very first parade of Chihuahuas was held at the Fairfield Showground in 1967 and the Judge was Mrs Jan Lear. They held a Championship Sweepstakes, both long and smooth coats competing against each other. George & Nell Scott's little dog Silvertail El Pedro won much to their delight. In the early days the majority of toy dog club shows were held at George & Nell Scott's property at Prestons (the early members still recall these times fondly). Our club meets bi monthly, (being September, November, January, March, May and July each year (our AGM is held in September each year before the regular meeting) on the second Tuesday of that month at the Kemps Creek Bowlling Club. We meet at 7pm for dinner before the meeting commences at around 8.00pm.